The new Zwift Edition of the road caliper and road disc Gibraltars are now available for order. 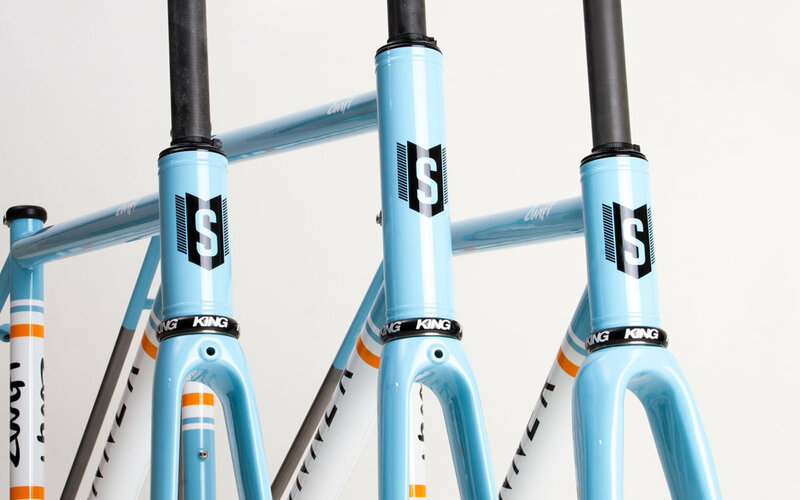 The Zwift Gibraltars are built by hand in California using your choice of Stinner Select Steel, Stainless Steel, or Titanium tubing. Frames made to order and shipped within 8 weeks. For partial and complete build inquires, please contact us. The Zwift Edition Gibraltar frame set comes built with standard external mechanical cable routing and a carbon road fork. A Cane Creek 40 head set will already be pressed into the frame for your convenience. For road-disc models, thru-axles will be provided as well. Approximately one year ago, Zwift held their North American Tour with a full fleet of custom Zwift-painted Stinner Gibraltar frames. 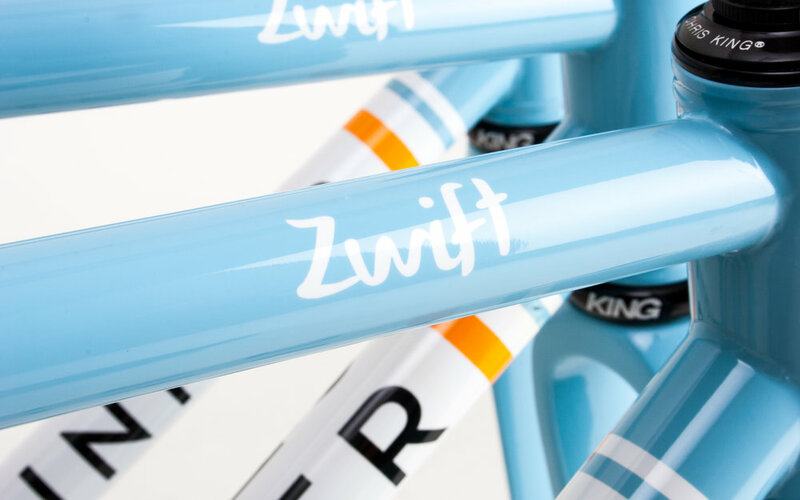 The tour was hugely successful for Zwift, and participants across 20 North American cities admired the detailed craftsmanship and stunning paintwork of Stinner. At each tour location, cyclists had the chance to experience the flavor of these two Southern California-based companies and ride a real-world replica of one of Zwift's most popular virtual bikes. 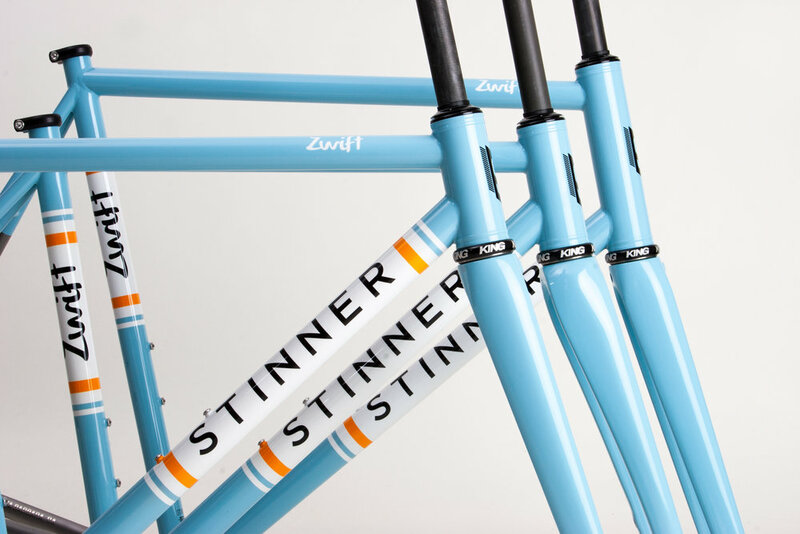 Zwift and Stinner Frameworks are driven by the communities that love cycling with style at any time, in any place, and in all forms. It was the passion for the sport that connected Zwift and Stinner last summer, and now that same connection can be shared within the Zwift and Stinner communities. The Zwift Gibraltar is available in our wide range of standard geometry sizes.